Work gave us passes to the Sky Deck that were expiring before I left for Prague so I grabbed a fellow RA and we went up the willis tower to look down on the city. 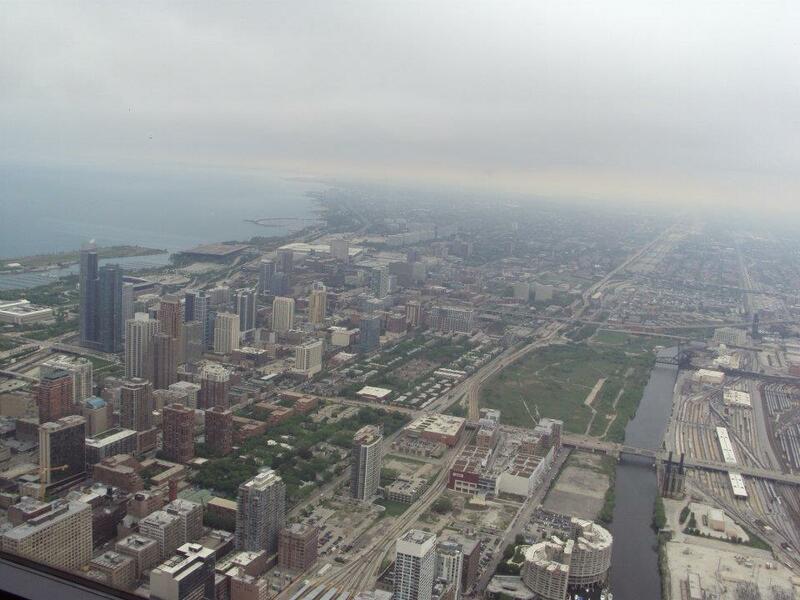 The Sky Deck is in the Willis tower and is a popular tourist destination. It’s 103 floors and 1, 353 feet tall (412 meters). There is an elevator that goes up to the top that lists what is equal to the height you are currently at as you go. One of the popular spots, and the most frightening is the ledges. The ledges are glass balconies of the deck that are 4 feet extensions from the building with a see through floor so it’s like your standing on air. The Sky Deck can get packed and can take several tries to eventually get out onto one and pose for a photo, usually some kind visitor will take a photo of you. When I went there were lots of groups visiting which made the wait a little longer, but it was worth it to see the city from so high up and to try and test my knowledge of the city from above. Throughout the Sky Deck you find information about Chicago and it’s history.